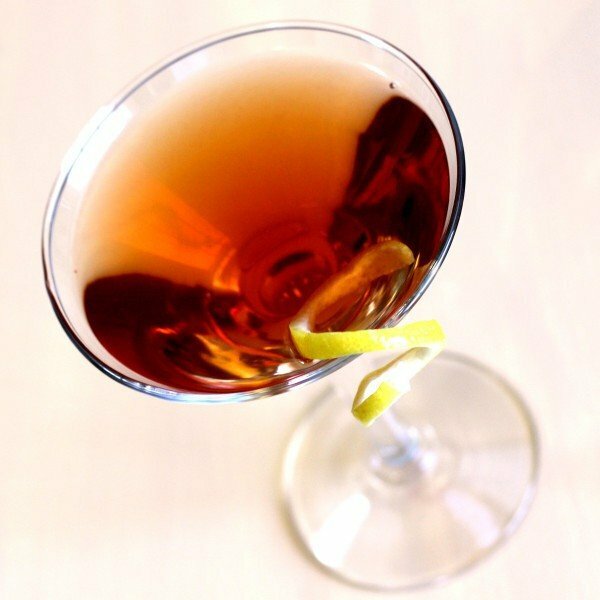 The Affinity Cocktail is an old-school style cocktail, with no fruity liqueurs or fancy herbs. 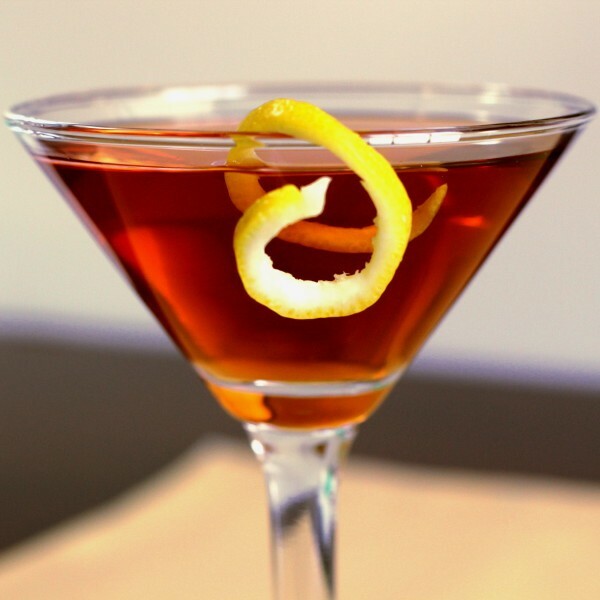 It features two fearsome ounces of scotch, plus dry and sweet vermouth, so it’s technically a double. 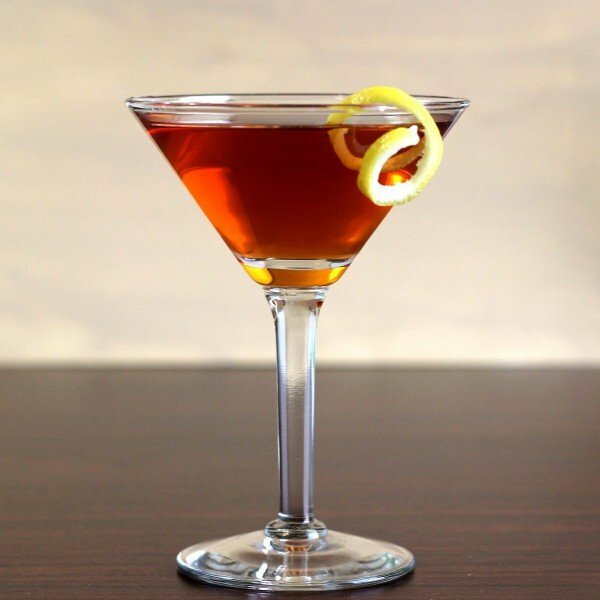 With scotch-based cocktails, I always mention that you don’t need to break out the expensive bottles for a cocktail. In this one, however, you do need to be very sure it’s a one that’s smooth enough to drink with ice. The main flavor here is your scotch, and that varies from brand to brand. Generally, I tell people scotch tastes like oak and smoke, and sometimes has hints of something like apples and pears way off in the distance, but it’s not at all sweet. The two vermouths in this recipe add a touch of grapey, wine-like sweetness along with some spice. And the bitters (some recipes call for orange bitters, but I like Angostura) enhance both the sweetness and spice. The end result is a drink that’s mostly smokey and woody, with sweet and spicy notes following. This cocktail pairs terrifically with steak, whether you grill it, pan-sear it or fry it up with chips. There’s just something about the combination of scotch and steak that’s special. Put ice in a shaker and pour in all ingredients. Stir, don’t shake. Put the shaker cap on and strain the mixture into a martini glass. Garnish with a lemon twist.